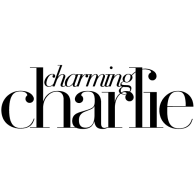 Charming Charlie started in 2004 with one clear mission: help every woman, everywhere, find her fabulous. They are crazy for colors. It is their believe that accessories have the power to transform both your outfit and your outlook. With plenty of trendy items to satisfy even the most discerning budget fashionista, Charming Charlie is both a fun shopping experience and a great source for cheap costume jewelry, accessories, and even clothing. Although you won’t find high end materials or exquisite workmanship in these shops, you’ll have no difficulty finding a pair of earrings or a bracelet to match any outfit in your wardrobe.At the right price check them out online or go to one of their beautiful stores across the country.